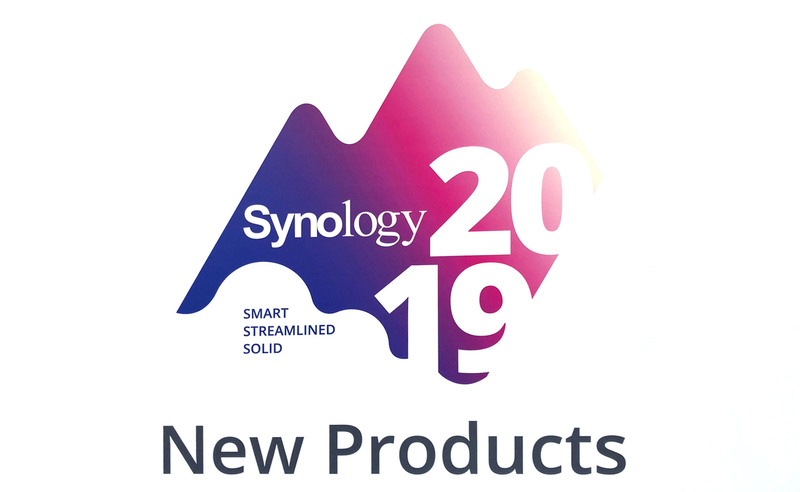 Synology kicked off its annual London-based event yesterday, with UK Managing Director Nicole Lin and Business Development Analyst Jeremie Francois showcasing new products and applications. 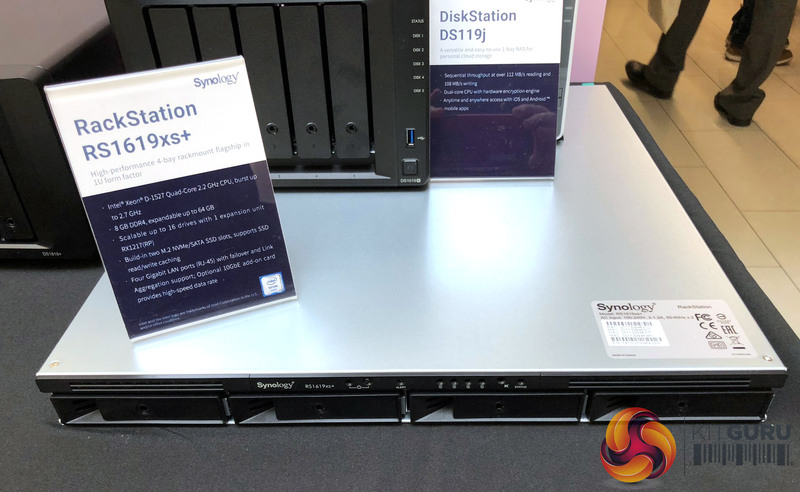 The major announcement of Synology 2019 was the preview of the upcoming version 7.0 of the firm’s DiskStation Manager operating system. Before digging in to details of the new products, Synology threw some impressive figures into the mix. There are six million active Synology NAS units worldwide with Synology having a 20% rise in global revenue growth and a 30% growth in business segments. 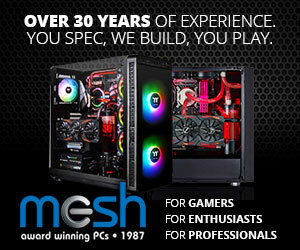 The company is now rated No.1 for Midrange NAS. Over the course of 2018, Synology has re-focused on three main areas; Stability, Security and Service. Stability: Each new update of DSM sees hundreds of thousands of new codes added with some 25,000 test items being thoroughly tested and verified with over 71,000 NAS units participating for the 7.0 version of DSM. Security: In 2017, the company was named as a CNA (CVE Numbering Authority) by MITRE. Being a CNA member means that Synology can cooperate with 3rd party researchers and release fixes without publishing vulnerability information first. 2018 saw Synology join the list over 400 members of the global FIRST (Forum of Incident Response and Security Teams). FIRST’s membership enables response teams to respond to a security incident more effectively. Since 2016, Synology has been running its own Bounty Program. It invites security researchers from around the world to enhance Synology’s product security and offers monetary rewards to those who have identified vulnerabilities. Service: Globally, Synology has 170 Techincal Engineers and offers a Next Business Day (NBD) replacement service. In the UK Synology offers FS / xs+ users and select channel partners a Premium Service. This consists of a 7 x 5 business hour technical phone support, a guaranteed 2 business hour first response to a support ticket, 24/5 LiveChat support and a NBD replacement service. 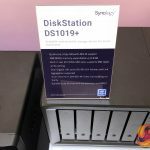 Although the beta for DiskStation Manager 7.0 won’t be released until Q1 2019, Synology did give us a preview of some of the new features. The interface has been revamped for a better user experience. Synology has also taken steps to improve the UI for mobile users, allowing customers to log on to DiskStation Manager from their phones just by scanning the QR code from the DiskStation Finder app. The all new CMS 2.0 (Central Management System) can manage up to 10,000 NAS devices making it easier than ever for businesses to roll out large-scale deployments. There is a new and exclusive fast disk rebuild technology which reduces rebuilds based on data usage by up to 40%. Perhaps even more impressive is the HDD Health Prediction technology. Using machine learning from more than 3 million hard drives, the new technology can inform the systems administrator of the probability of a drive failing before the drive reaches that point. Many smaller businesses have limited IT budgets which inhibits their ability to perform comprehensive and secure backups. 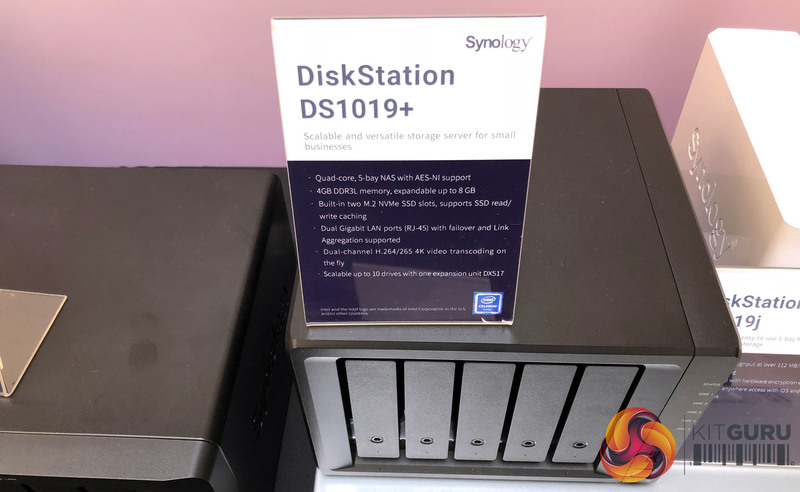 To aid these business’s Synology are launching its Active Backup Suite later this month, an all-in-one business backup solution which is completely free of license charges. 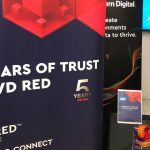 Synology also demonstrated an important new addition coming to Surveillance Station in 2019- Deep Video Analytics. 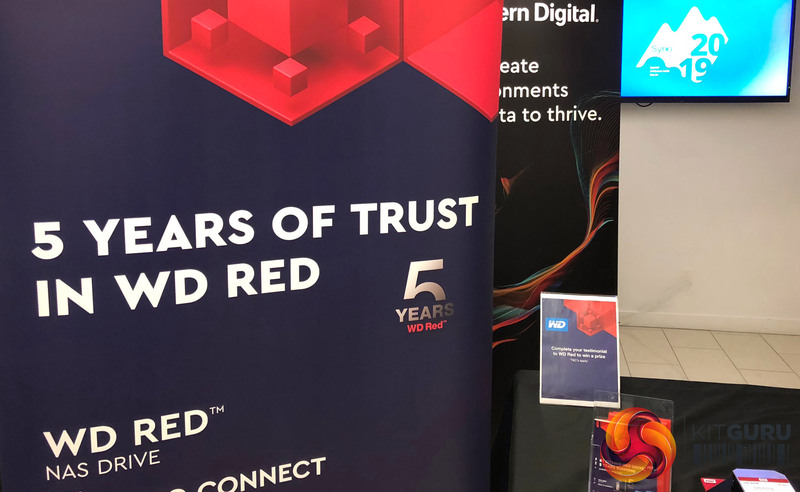 This technology integrates deep learning technologies into VMS, optimising object detection using real-time detection technology. DVS is able to filter out irrelevant objects which reduces the number of false alarms being sent out while accurately detecting and identifying real threats. Launching at the same time as Surveillance Station with DVA is the DiskStation DS1419dva. This is a 4-bay NAS which uses a built-in Nvidia GTX 1050 Ti graphics card together with advanced DVA technologies. 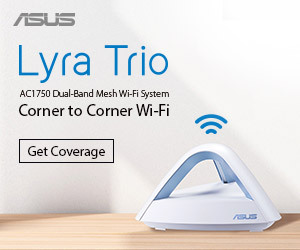 Launching in the UK on the 8th October, the Mesh Router MR2200ac is the world’s first WPA3 certified mesh router. 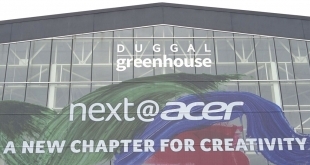 It uses a Qualcomm IPQ4019 quad-core SoC and supports AC2200 Wave 3. Launching at the same time as the MR2200ac is the latest 1.2 version of Synology’s Router Manager. Version 1.2 includes an all-new Safe Access package in which you can prevent children from spending too much time on a device by setting time limits and schedules. It integrates Google Safe Browsing and AI.Safe Access as well as other IP and DNS threat intelligence databases and it also supports Siri Shortcuts in iOS 12. 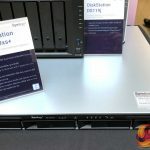 In the small display area, Synology showed off the NAS units that are due to be launched in the coming months. 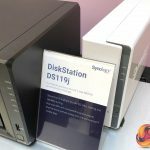 DiskStation DS119j: A new entry level, single bay NAS which we will have a review of very soon. 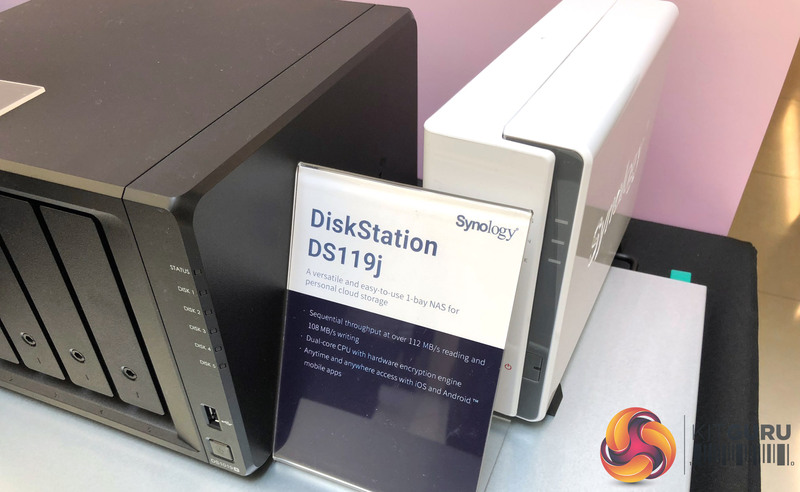 DiskStation DS1019+: 5-bay NAS powered by a Quad-core CPU with 4GB DDR3L memory (expandable up to 8GB), dual Gigabit LAN and supports a pair of M.2 NVMe slots. 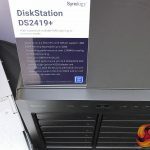 DiskStation DS1819+: 8-bay NAS with a Quad-core 2.1GHz CPU, 4GB DDR4 (expanable to 32GB) and four Gigabit LAN ports. RackStation RS1619xs+: 1U 4-bay rackmount NAS powered by an Intel Xeon D-1527 Quad-Core 2.2 GHz (burst up to 2.7 GHz CPU), 8 GB DDR4 (expandable up to 64 GB), four Gigabit LAN ports and two M.2 NVMe/SATA slots. 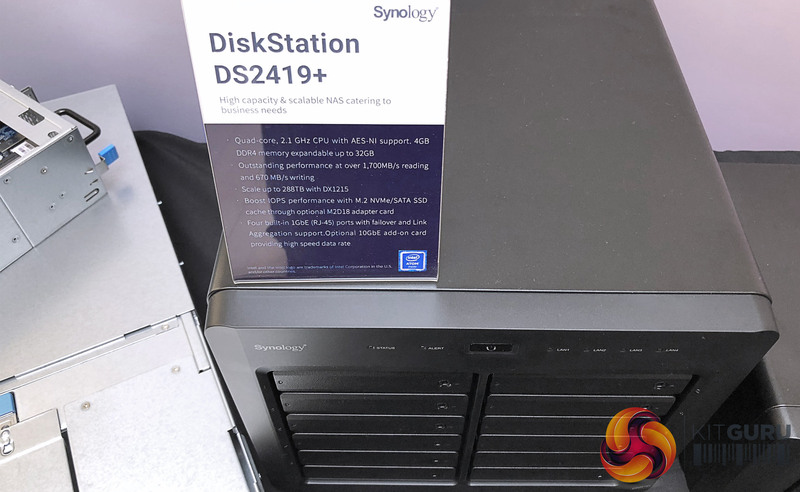 UC300: According to Synology up to 25% of Synology users make use of the iSCSI service. 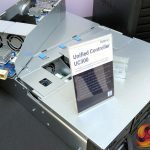 To support these users, Synology will be launching a new product line – the UC300 (UC – Unified Controller), the first dedicated iSCSI server with dual-active controller. 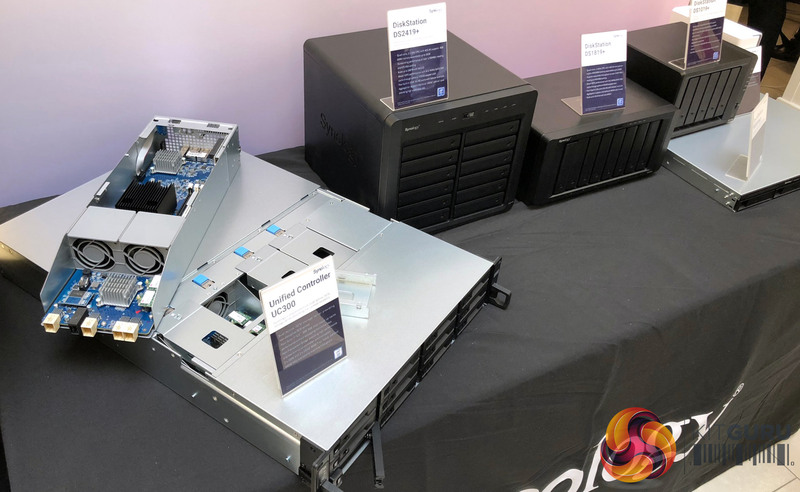 Powered by a quad-cored Xeon D-1521 CPU backed by up to 64GB of memory it can deliver over 100,000 IOPS performance while ensuring an uninterrupted service against a single point of failure. 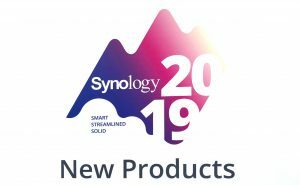 KitGuru Says: Synology has a lot of new launches and software updates planned as we get closer to 2019. 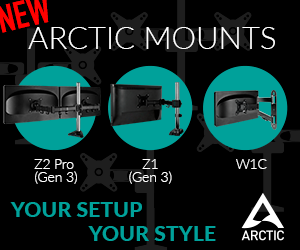 Keep an eye out for future reviews as new products start to ship.